You'd think that in a landlocked state like Arizona, the situation would be grim for beach lovers. Not so! 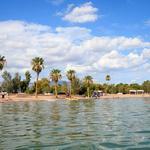 Lake Havasu (also known as Arizona's West Coast) serves up a supreme experience for beaches in Arizona: beautiful sandy lake beaches and clean, clear, fresh water that's comfortable for swimming most of the year. With few or no waves, visitors come from Phoenix, California, and all over the Southwest to cool off when summer temperatures soar. Lake Havasu's beaches are the perfect hangout spots for families -- you can truly relax in the warm sand without worrying about dangerous fish or riptide currents. If you're a boater, pristine private beaches are plentiful and perfect for a picnic or sunbathing in solitude. Did you know? 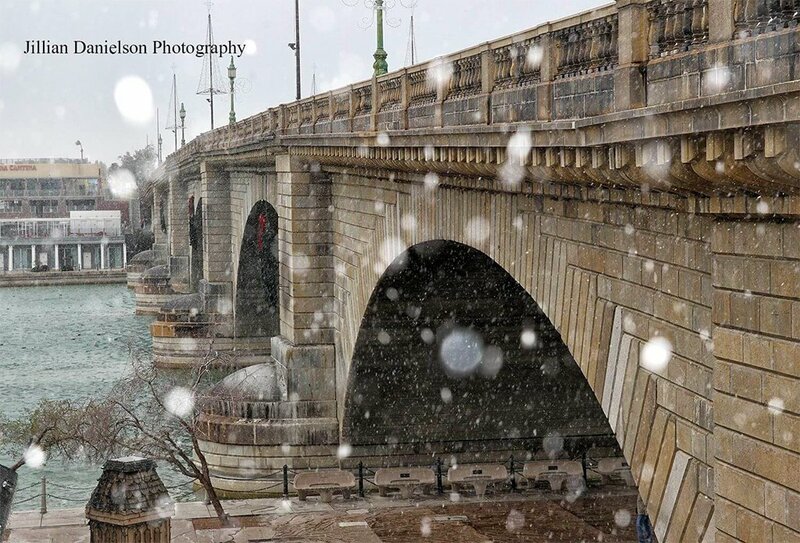 Lake Havasu City holds the all-time high temperature record in Arizona history with 128° recorded on June 29, 1994, and the city was covered in snow on December 31, 2014! 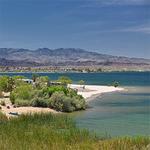 Lake Havasu has many beautiful boat-in beaches and beach campsites accessible only by boat. 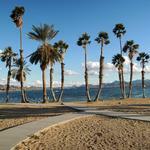 Take in the sights of Lake Havasu on your own private beach, whether it's for a day, an adventurous weekend or longer! Discover the boat-in beaches and campsites for you to pull up your boat and get as close as you can to the shoreline areas, hiking trails and other natural wonders of our desert oasis.